The Preparedness Summit is the premier national conference in the field of public health preparedness. The four-day annual event provides one of the only cross-disciplinary learning opportunities in the field and has evolved over time to meet the growing needs of the preparedness community. A diverse range of attendees includes professionals working in all levels of government (local, state, and federal), emergency management, volunteer organizations, and healthcare coalitions. The Summit delivers opportunities to connect with colleagues, share new research, and learn how to implement model practices that enhance capabilities to prepare for, respond to, and recover from disasters and emergencies. Each year, more and more attendees flock to the Summit. 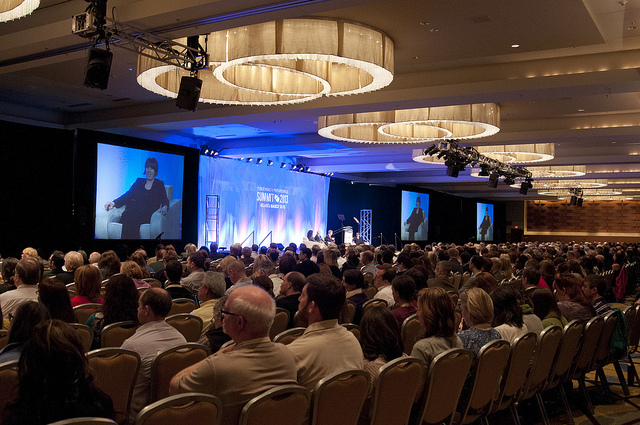 In 2013, the Summit brought 1,741 attendees to Atlanta, Georgia from nearly every state, and several territories and countries, including China and Australia. A survey of attendees indicated that two out of three were mid- to senior- level professionals. Nearly all attendees (over 90%) expressed a high degree of satisfaction with the Summit and indicated that they would take information, tools, and resources acquired at the Summit to use in their professional practice and share with colleagues and community partners. The Preparedness Summit is the first and longest running national conference on public health preparedness. Since the Summit began in 2006, the National Association of County and City Health Officials (NACCHO) has taken a leadership role in convening a wide array of partners to participate in the Summit. Partners have included the Association of State and Territorial Health Officials (ASTHO), the Association of Schools of Public Health (ASPH), the Council of State and Territorial Epidemiologists (CSTE), the Association of Public Health Laboratories (APHL), Assistant Secretary for Preparedness and Response (ASPR), Centers for Disease Control and Prevention (CDC), Advanced Cardiovascular Life Support (ACLS) certification institute, certification institute Food and Drug Administration (FDA), and the Medical Reserve Corps (MRC).